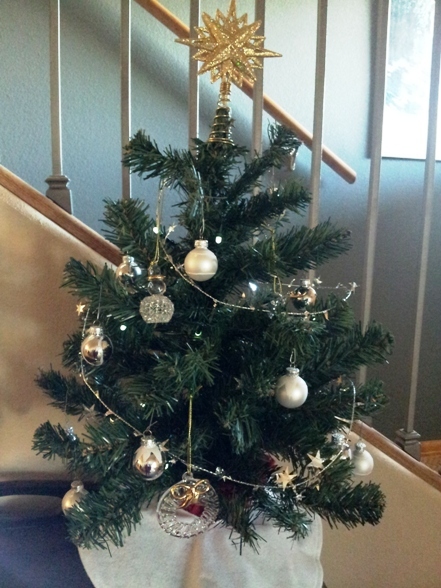 “And it was always said of him, that he knew how to keep Christmas well, if any man alive possessed the knowledge. May that be truly said of us, and all of us!” ~Charles Dickens, A Christmas Carol. To say my Mom loved Christmas and kept it well was an understatement. She baked jillions of cookies, decorated multiple trees and hosted a holiday open house with tons of different appetizers, cookies, Scandinavian delicacies, and drinks. She loved to share her decorated home and culinary skills, and particularly loved that people she invited brought others with them and that the parish priest would stay until the very end of the party and take home leftovers. She was in the middle of planning her holiday party when her recurring cancer landed her in the hospital. She died Christmas Eve. I like to think she went to party with the angels for Christmas, and they took her at that moment to make Christmas extra special for her. 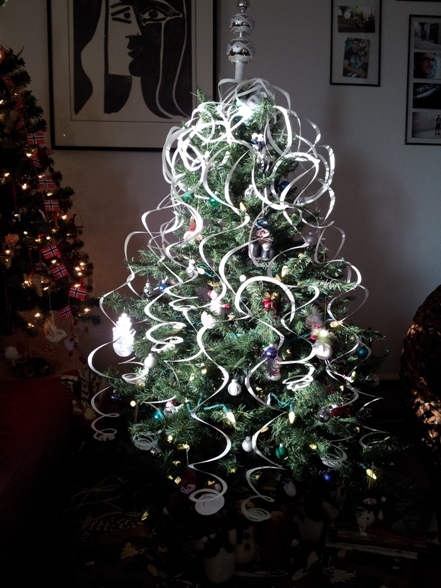 People ask if this sad moment has “ruined” Christmas for me. Not at all. 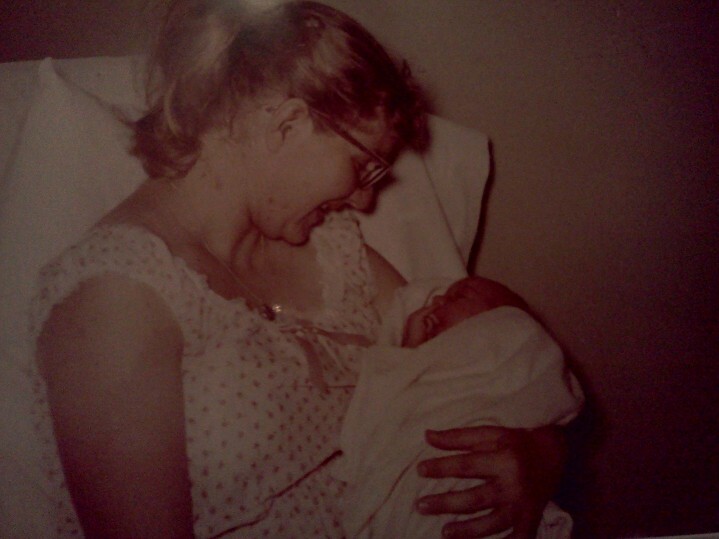 I’m a bit melancholy, but mostly, I try to decorate, cook and entertain in the way Mom would have. I celebrate Christmas and celebrate Mom. Mom had a shed on her New Mexico property she called the Christmas Shed–packed to the rafters with all manner of Christmas decor. 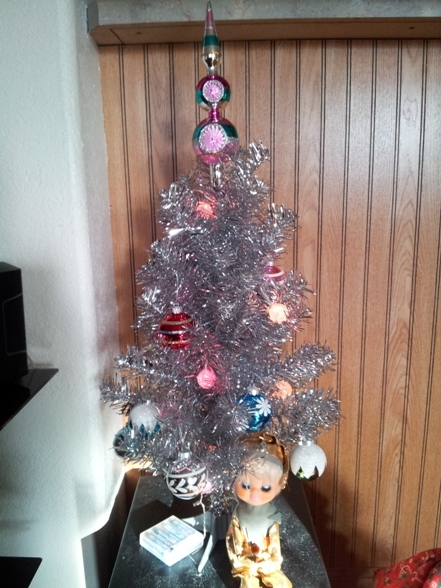 I brought a few things home with me, a tub marked Norwegian Tree, and a few of her treasured trolls. Mom’s mom was Norwegian, and Mom identified with all thing Norwegian. The tub had ornaments, linens, and candlesticks painted as a Norwegian man and woman in their traditional finery. 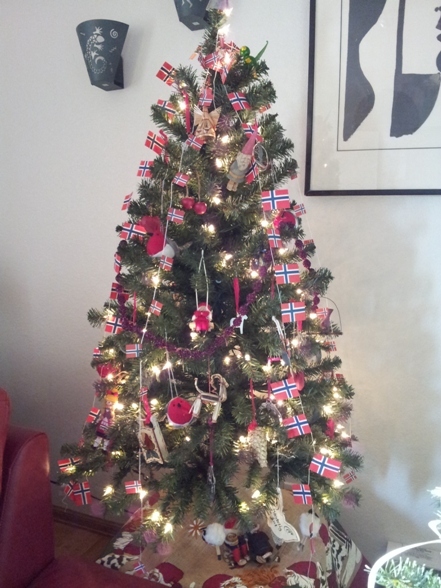 Here’s my Norwegian tree, decorated with Mom’s ornaments and those she had given me over the years, and festooned with strings of Norwegian flags–just like she would do. 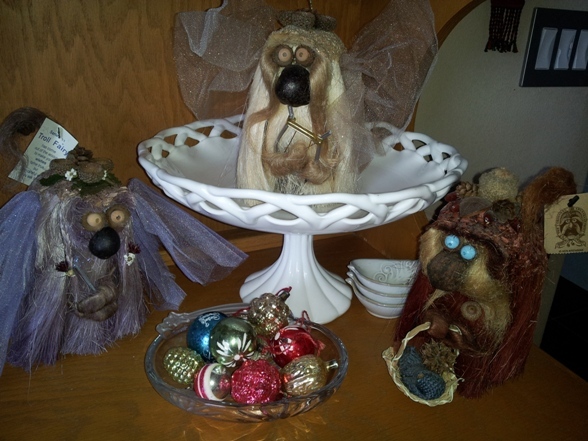 Mom had a huge collection of trolls. Trolls are beloved by Scandinavian people and according to Mom, these must be complimented on their beauty and charm. If you dare speak of them in terms of ugly, homely or scary, they will play pranks on you at night. These are my three favorites: The Fairy, The Angel, and The Mom. Aren’t they beautiful?! 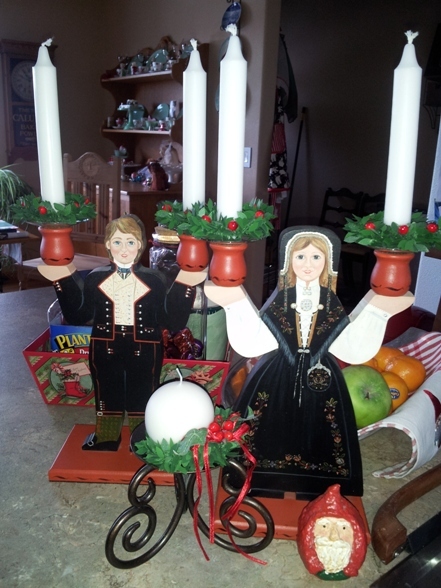 Here are the candlesticks, complete with the candle wreaths she bought for them. The friend that made them for her tried to paint them to resemble Mom and Dad. 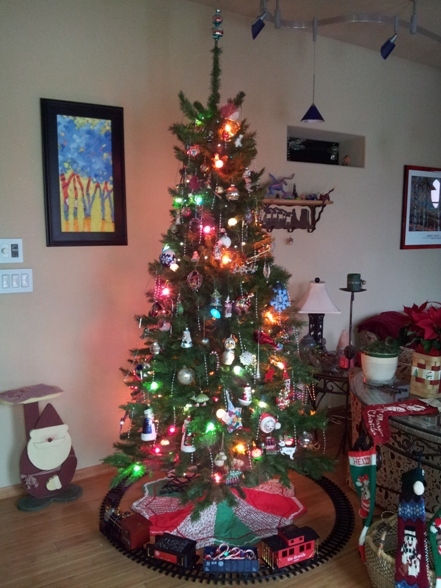 The big tree with ornaments from my childhood and those my family has collected over the years. 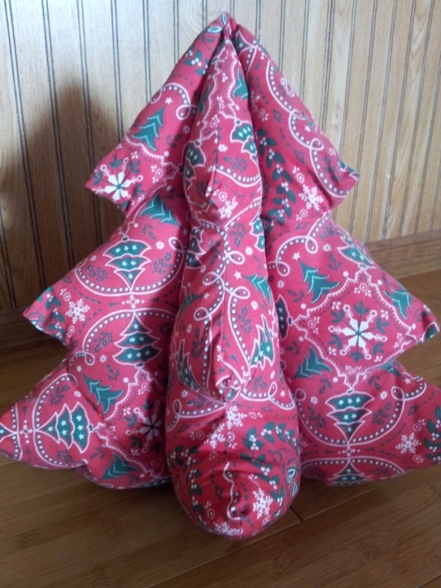 It’s traditional to use an ornament as a decoration on a wrapped gift. 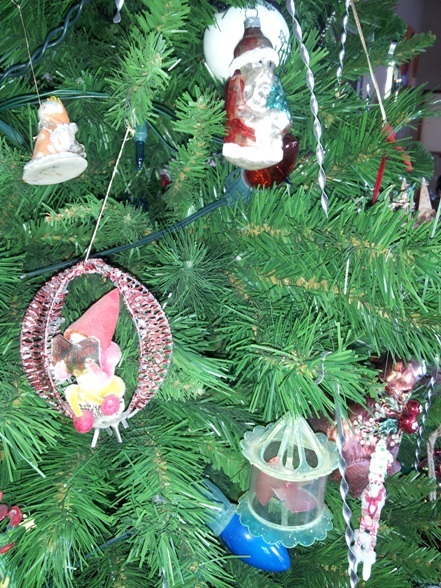 Some of my favorite ornaments from my childhood are these: my glass Santa, an elf who sits on a tiny pine cone cushion, and a birdcage whose “bird” spins from the heat rising off a Christmas light. 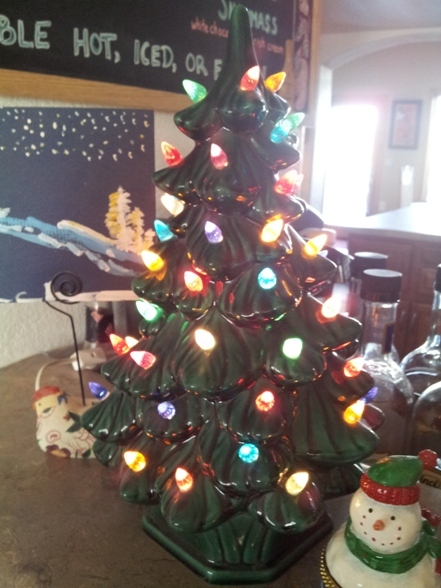 I also set out a couple other trees; a lighted ceramic tree that belonged to my mother-in-law, and a stuffed red tree Mom made for me. 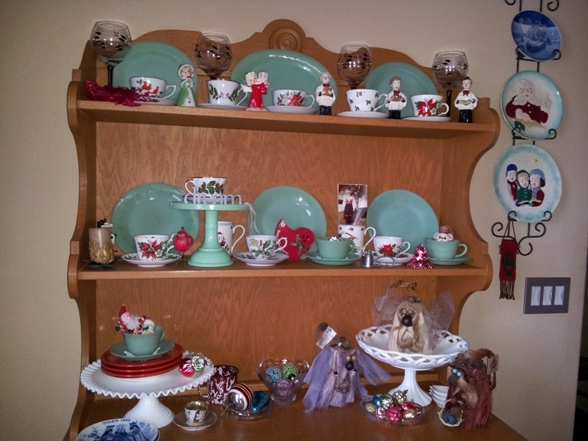 My hutch gets decorated with a collection of red, green, and white, including three little choir boys Mom painted when she was a young woman. 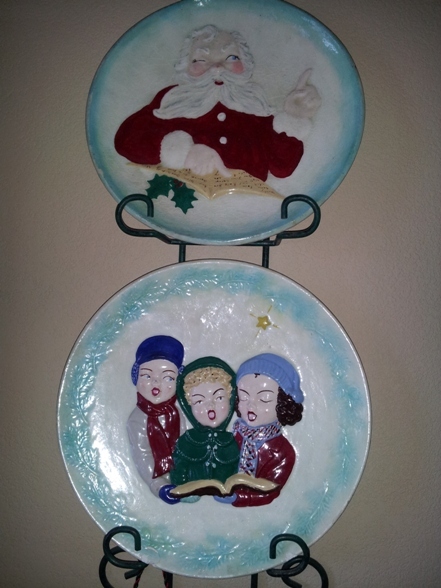 I also set out a pair of Christmas plates, also painted by Mom. The Santa one has Mom and Dad’s names as well as the names of their friends of the time, on Santa’s list. 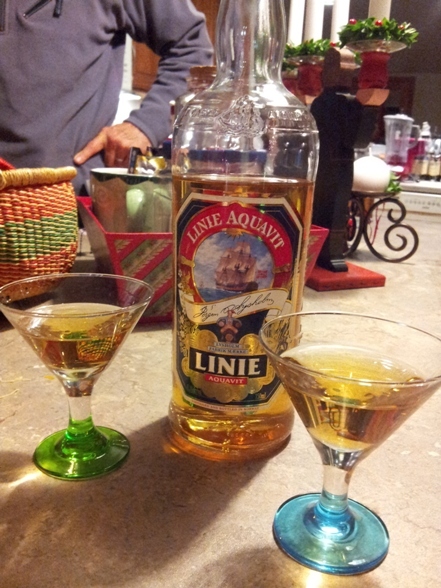 While planning for the holiday party that never happened, Mom called to discuss what sort of tasty bites to serve and asked if I could find Aquavit and bring it when we came for the party. Aquavit is a traditional Scandinavian spirit, distilled from potatoes and spiced with caraway, dill, cardamom, and anise. It pairs nicely with fish and is usually served in tiny glasses and meant to be sipped and savored. This week I found a local liquor store that carries it! We had friends over last night and toasted to Mom. Skoal! 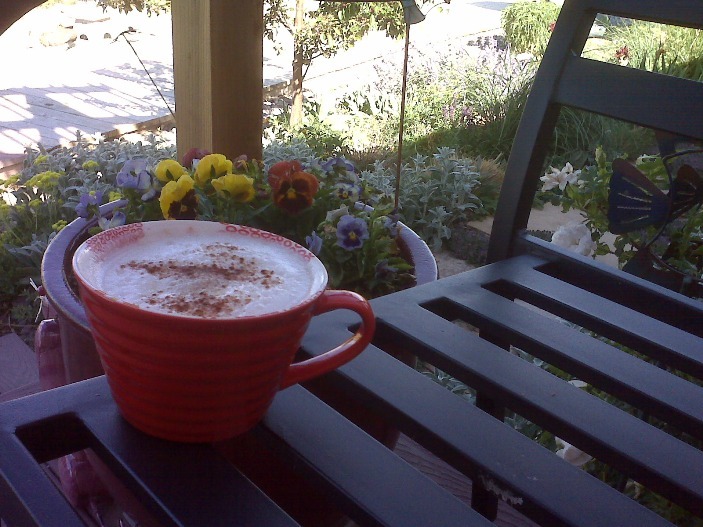 I miss being able to call Mom when I’ve made a delicious recipe, or to ask for advice, or to share a cup of coffee and just talk. 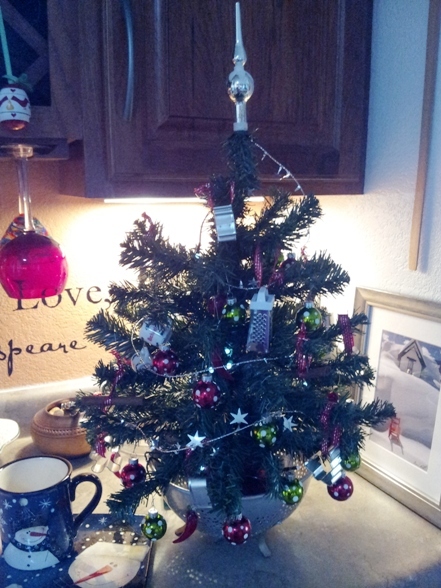 Going all out with Christmas keeps her memory vibrant and close to my heart. I hope she enjoys my efforts.